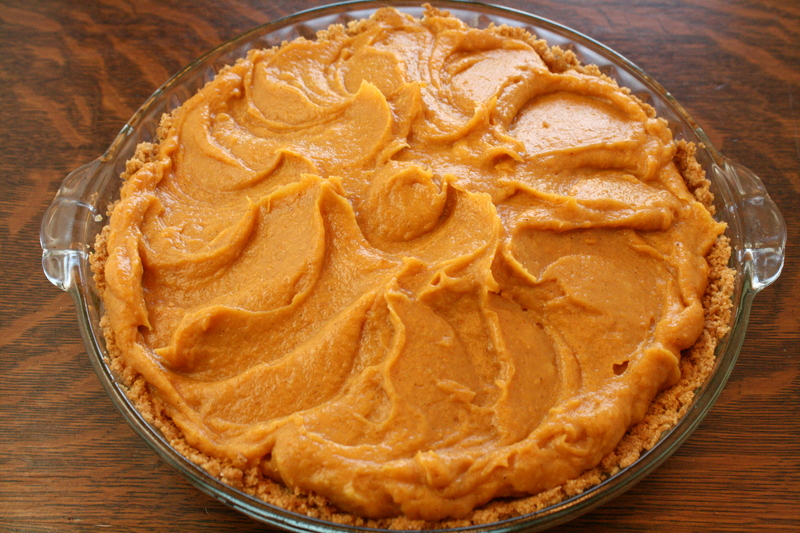 This recipe is one more easy pumpkin pie to add to your arsenal this holiday season. 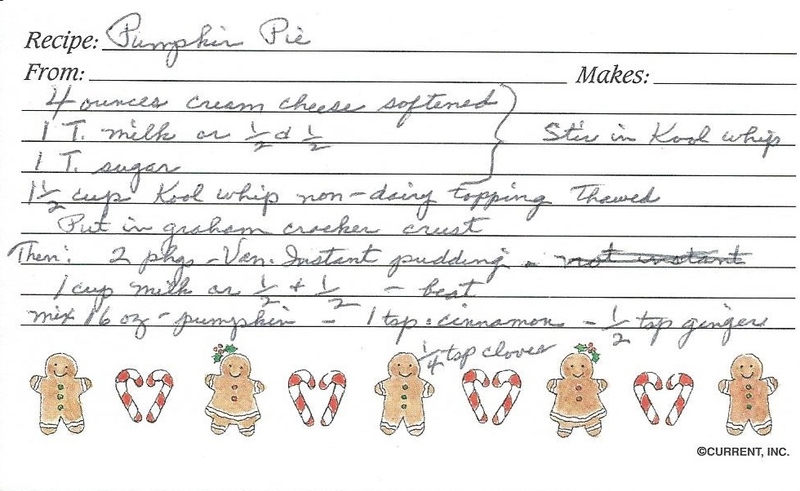 It’s called Pumpkin Pie on the recipe card, but I’ve renamed it Pumpkin Cream Cheese Pie. 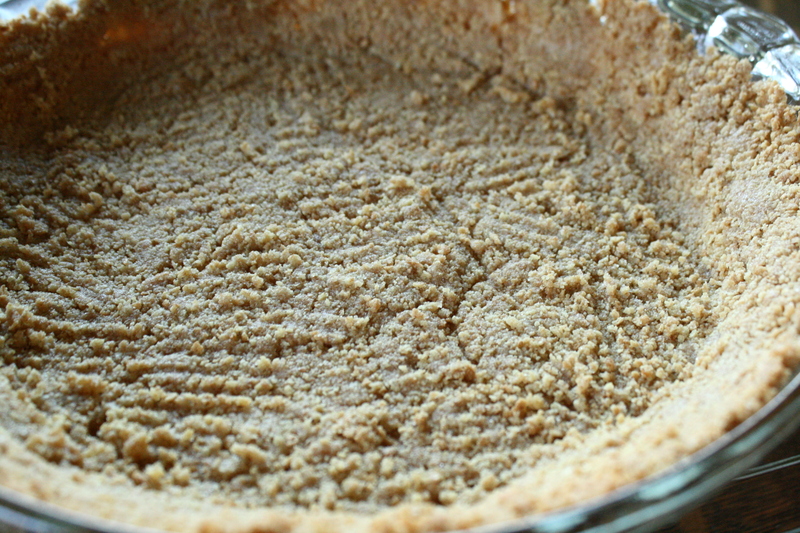 It uses a graham cracker crust, and instead of baking the whole pie, I just had to bake the crust. 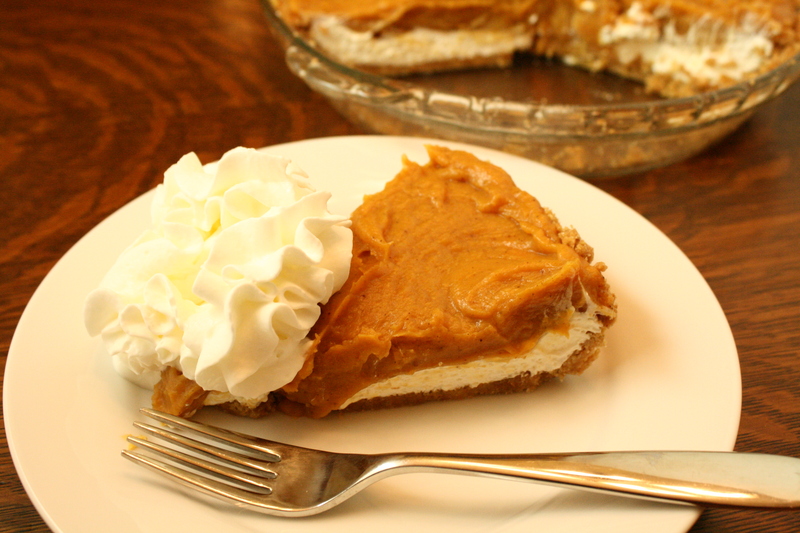 I love pumpkin pie so having another type to choose from sounds great to me! Stir in 1 1/2 cup non-dairy whipped topping, thawed. Put this mixture into a baked graham cracker crust. Find a recipe for the crust here. Put this mixture on top of cream cheese mixture in graham cracker crust and chill for at least one hour. 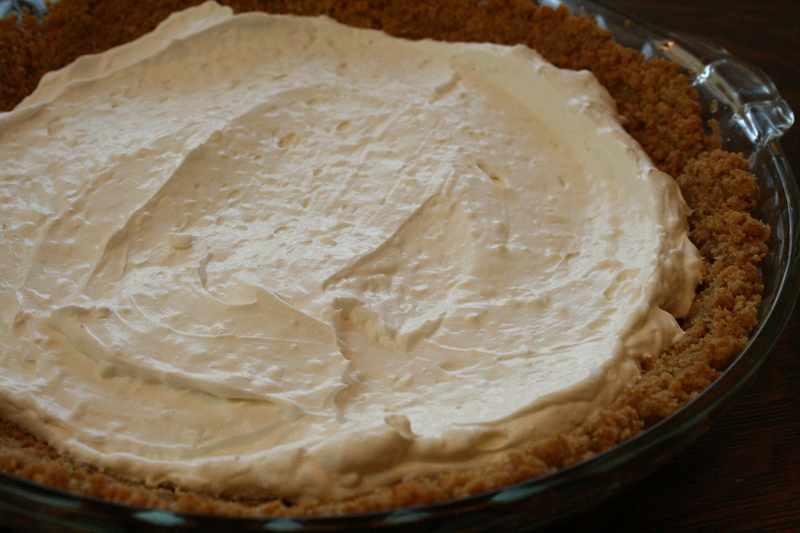 This is the graham cracker crust. You can also use a “storebought” one if you really need to. There’s really no need to. This is the cream cheese layer. Next is the pumpkin/vanilla pudding layer. The end product is very quick if you need something “last minute”.